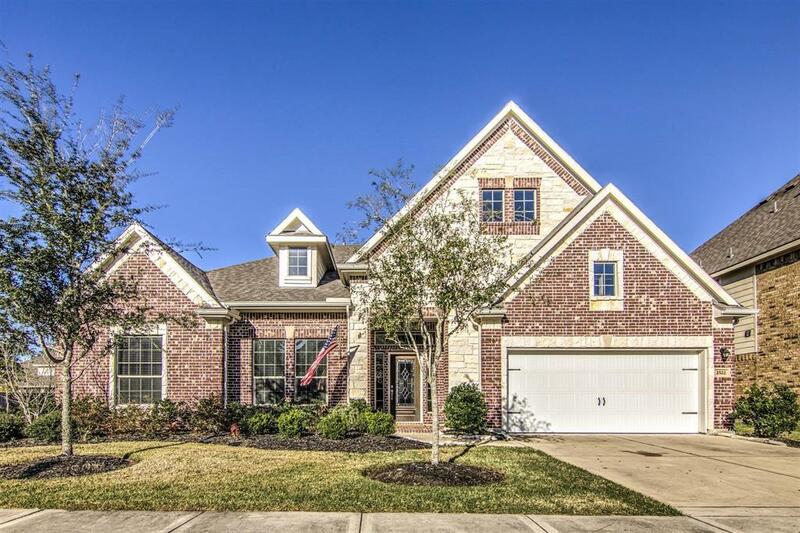 Beautiful open concept one story with upgrade stone exterior accent. 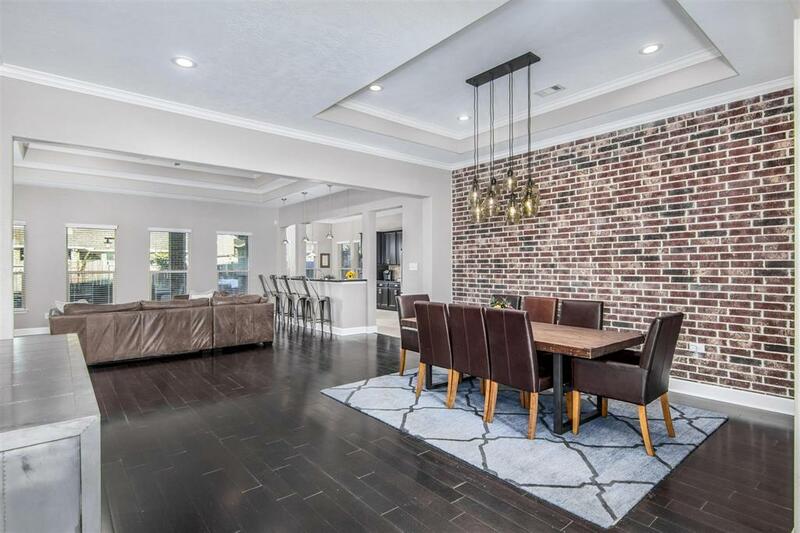 This stunning home is right off the pages of Architectural Digest with brick accent wall in formal dining and wood flooring through entry, dining & living. Kitchen is chef's delight w/ 42'' Flat Panel Maple Espresso cabinets, spacious granite counters, high-end appliances & beautiful backsplash. Butcher block island is perfect place to serve appetizers or extra work space. 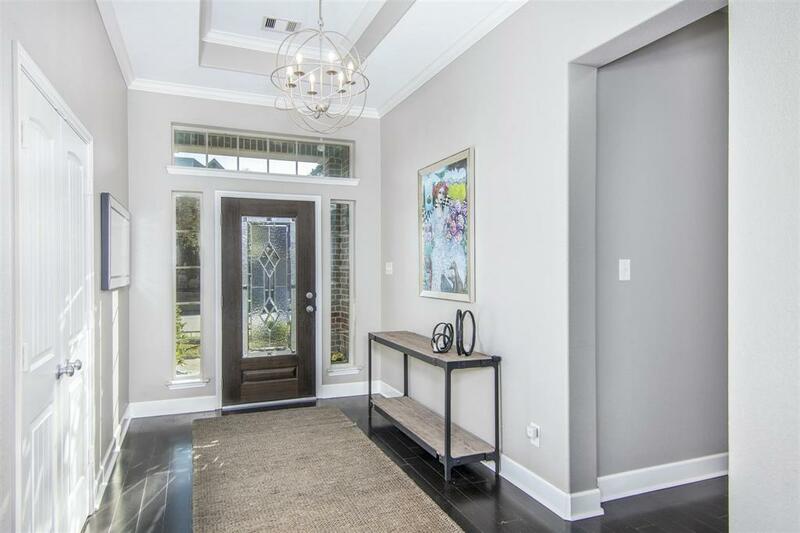 Family room has wonderful views of large covered back porch and is open to kitchen. Raised hearth fireplace with limestone to ceiling. Romantic master bedroom split plan is serene and boasts views of the backyard. Master bath is owners private spa. Walk-in master closet will hold all of your needs and spark tons of joy! Light and bright upgraded secondary bathrooms w/ subway tile accent. Secondary bedrooms are oversized. Back yard w/ California inspired deck and seating. 3 car garage. 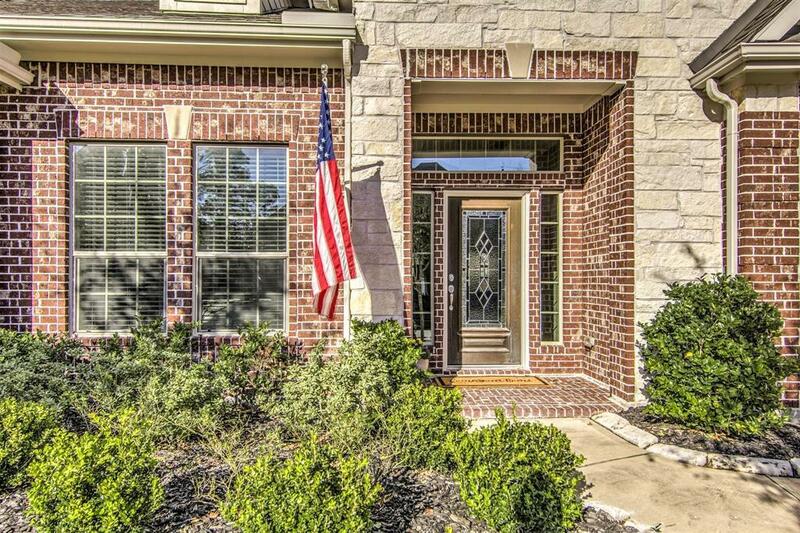 One of a kind one story on private corner lot!